As a general rule we’re quite relaxed about screen-time in our house. We don’t really set any strict limits for the children, knowing that they tend to naturally move on to another activity after a while. So both children do spend time each day playing on the ipad or the computer, and watching videos on YouTube. I’m quite happy for them to watch random videos of other people’s children opening blind bags and playing with toys, but honestly I don’t always want to hear those videos. Especially if I’m trying to get some work done, or watch a bit of Sunday Brunch on the tv! 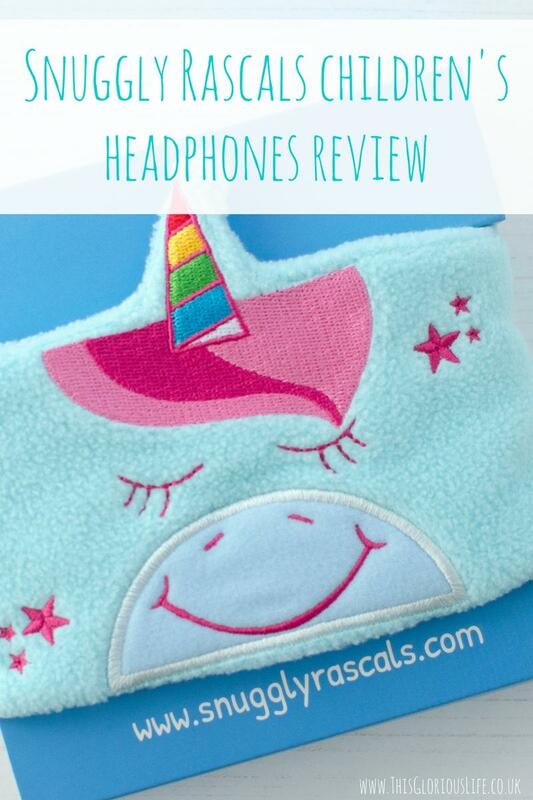 So I was really pleased when we were offered the chance to review a pair of comfy children’s headphones from Snuggly Rascals. Rhys has got a pair of pretty cool headphones that he wears when I’m not up for listening to the gaming videos he watches on YouTube, but Nerys didn’t have any of her own. So she was so excited when these arrived in the post, and luckily she was happy with the Unicorn design that I chose for her. There were eight designs to choose from: unicorn, monster, penguin, cat, plane, giraffe, piggy and chicken and it was actually quite a tough decision to make! They’re all really cute designs, and a nice variety to suit different ages and tastes. The headphones came in a sturdy little box with a window so you could see the cute unicorn design straight away. The main thing I noticed when I first picked up the box was how light it was, which was a great sign of how comfy they were likely to be. Once we opened the box and took them out we were able to feel quite how soft and snuggly the headphones are – they really do feel lovely. 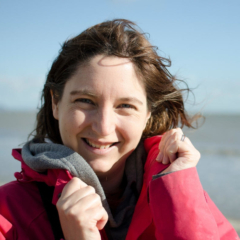 They’re made from a fleecy material which is machine washable, always a bonus! You just take the little headphones out of the headband and the pop the headband in a normal wash, so there’s no need to worry about your child getting them grubby. 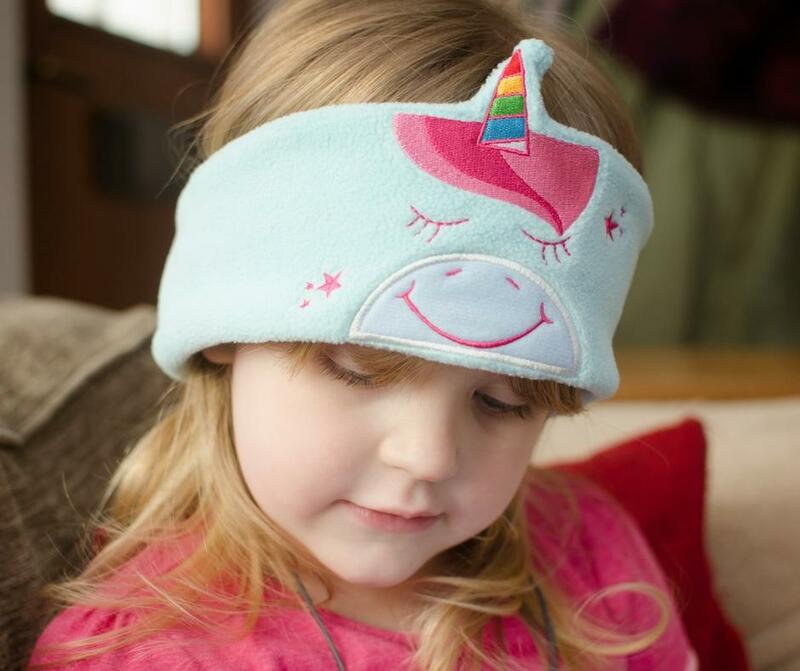 The headband secures in place around your child’s head with velcro which is great as they’re completely adjustable and can be used by any child of any age really easily. When Nerys first tried them on to watch a video on my ipad she did complain that she couldn’t hear anything to start with. I tried adjusting the band a bit but that didn’t make any difference, but then I realised that the little speaker parts of the headphones can move about inside the band as well as come out completely to wash the band. So it was just a case of feeling for the speakers and moving them to just the right place by Nerys’ ears and then she could hear her video perfectly! I really love the fact that the volume is limited on these headphones, so there’s no way she can turn them up too loud. I think it’s great to have that peace of mind that her hearing is protected. 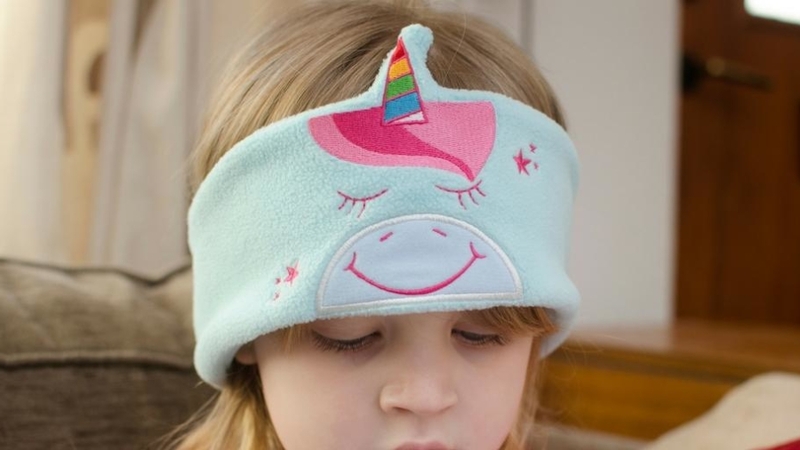 You can also feel good buying these for your child because Snuggly Rascals donate 10% of their gross profits to charity. 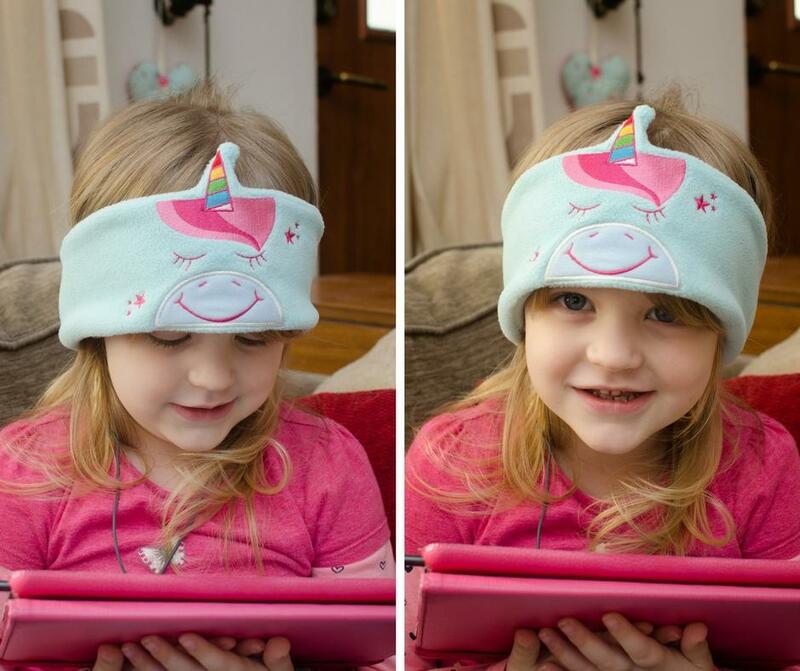 Nerys has been loving having her very own special headphones to wear when she plays on the ipad at home, and I think they would be really great for her to use in the car too if we go away anywhere. They’re so light and because they’re made from fleece they can fold up nice and small too, so would easily fit in her backpack for a trip away. I think we’ll be getting quite a bit of use out of these cute and cosy little headphones! 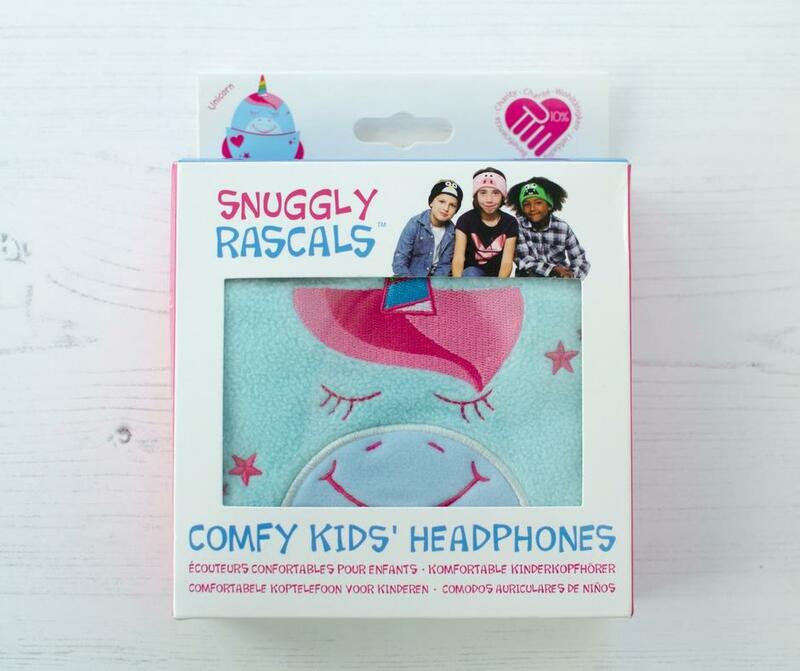 You can buy Snuggly Rascals headphones directly from their website – www.snugglyrascals.com – as well as from places like Amazon and Argos. 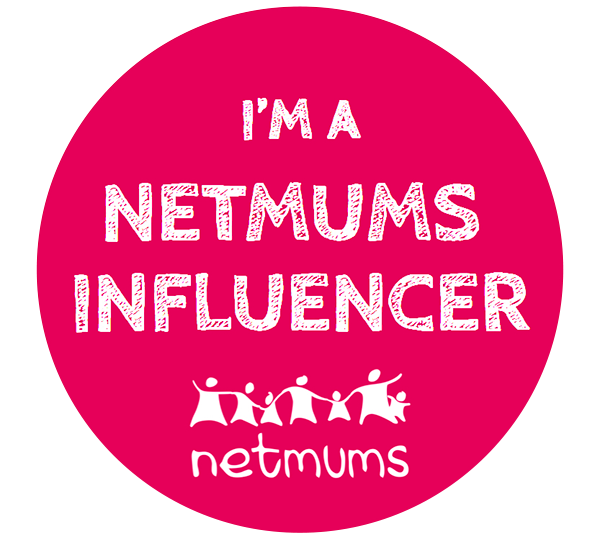 Disclaimer: we were sent a pair of Snuggly Rascals to test out for the purpose of this review, but all words, opinions and photos are my own.